Provide comfort for the family of Angela Grandillo with a meaningful gesture of sympathy. 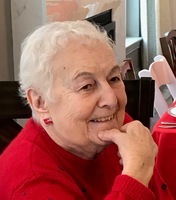 Angela E. “Angie” (nee Iannadrea) Grandillo 96, of Willoughby, passed away peacefully on Wednesday, March 27, 2019, at home in the presence of beloved family. The funeral services will be 10 a.m. Monday at Immaculate Conception Catholic Church, 37940 Euclid Ave., Willoughby. Father David Mastrangelo and Father Michael Troha will be officiating. Family will receive friends from 1 to 5 p.m. Sunday at McMahon-Coyne-Vitantonio Funeral Home, 38001 Euclid Ave., Willoughby. Burial will be in Willoughby Cemetery. Born at home on December 26, 1922, she was a lifetime resident of Willoughby. Over these 90+ years, she lived her life surrounded by deeply loving family and friends. Angie was the beloved mother of Emma E. Grandillo and Elizabeth A. Grandillo; the sister of Columbia Ranally and is preceded in death by brothers, Michael (Jeannette) Iannadrea and Domenic (Lucy) Iannadrea; and brother-in-law, John A. Ranally as well as Rinaldo Fatica. She is also preceded in death by her beloved husband, Emilio G. Grandillo (1986) and parents, Pat and Loreta (nee Fatica) Iannadrea and her dear nephew Patrick Ranally. She is survived by her dearest cousin, Rose (Rinaldo) Fatica and many adoring nieces and nephews. Angie was a beacon of positivity and hope for all of those she touched. She lived a life ahead of her times. Among the progressive young ladies in the early 1940s who found office jobs in downtown Cleveland – Angie worked first as a secretary downtown and eventually as an office manager closer to home throughout her life until age 70. She was a professional notary public. Angie was among the eldest members of Immaculate Conception Catholic Church, baptized at the original location on Vine Street. She also led a life of service, volunteering as a money counter at church, a Eucharistic Minister and selling many tickets at the annual Oktoberfest. Angie was also a member of the Oratinese Women’s Club where she took various roles on the operating committees. As a young woman she took a road trip with a friend across the U.S. She used a computer and email and played online solitaire into her nineties. She loved to read and to go bowling, playing in many leagues also until she was 90 and then continued to play Bocce ball through last summer. She was beloved for her special meatballs and homemade biscotti and brownies. At age 90 she achieved a personal goal of receiving a ride on a motorcycle. She was an enthusiastic lifelong learner and adventurer. Donations in her honor can be offered to Immaculate Conception Church. To leave condolences for the family, order flowers, or participate in the Memorial Tree Program, visit www.MCVfuneralhomes.com. 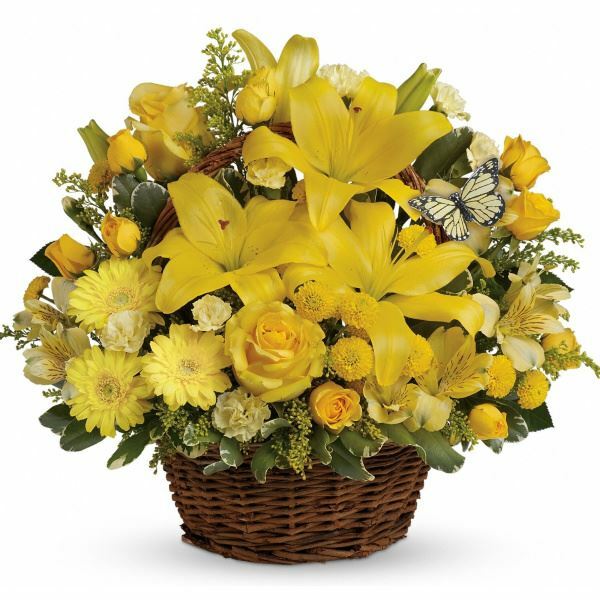 To send flowers in memory of Angela E. Grandillo, please visit our Heartfelt Sympathies Store. Tom Christmann, The Lawrence Mastrangelo Children, and others have sent flowers to the family of Angela E. Grandillo. Aunt Ang was the most important person in my life after my parents, husband and children. She was an incredible rock of security, kindness, and love. Whenever we did not have the answer we called Aunt Ang. She was my godmother, my example. I still use the book she bought me for Eucharistic Adoration. She was always upbeat, always tried to see the best in people or the purpose of a situation. I will miss her so much and regret not seeing her more often. Tom Christmann purchased flowers for the family of Angela Grandillo. Our deepest condolences to Liz and Emma. Angie will be remembered by us as one of the Grandillo Girls...full of life and adventure. Never forget you will always be embraced in her love as she continues to watch over you. Please know you both are in our thoughts and prayers. Love to you, Debby, Randy and Nick.